The Three Tuns01291 645797work Guest AccommodationThe Three Tuns is a 16th Century Inn located next to the Castle in the historical town of Chepstow. 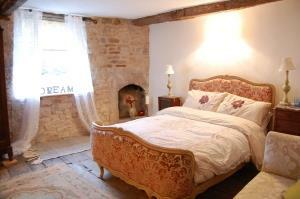 The rooms have been recently renovated with an abundance of charm and character. Parking is available just below the Inn. We have two double and one twin room, all with private facilities, flat screen TV and tea and coffee making facilities. The Three Tuns is a 16th Century Inn located next to the Castle in the historical town of Chepstow.